The earring hooks are made by me with solid sterling silver. 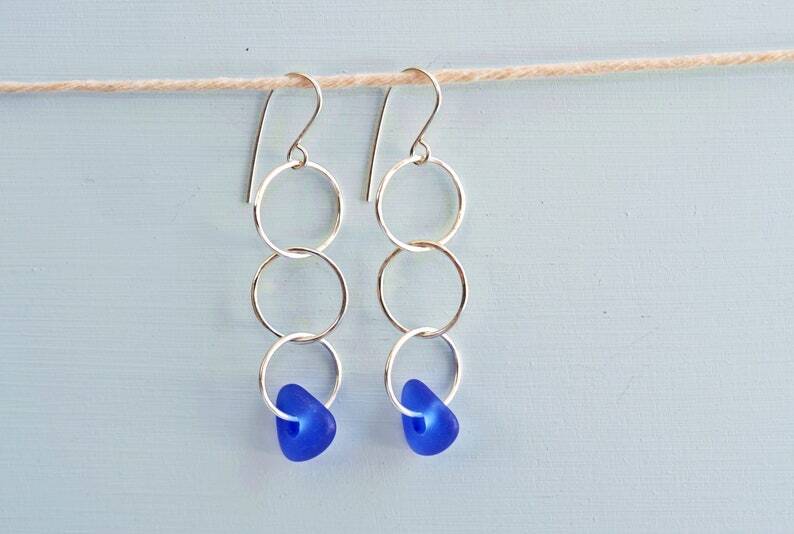 The three circles are beautiful sterling silver lightly hammered for texture, they look simply gorgeous with the blue glass, a calming cobalt!! Your earrings will come wrapped in a sweet little gift bag along with a silver polishing cloth.